We won’t lie, shipping yachts across an ocean isn’t exactly “easy,” but we certainly love what we do. When clients call us to start their vessel shipping process, they are often overwhelmed and have dozens of concerns. United Yacht Transport is ready to address these concerns and help customers get through the challenges of transporting their investments. Here are some of the top challenges that we support our clients with, which we hope provides confidence in what we do and how we handle all our client concerns. Our customers are scattered all over the globe, and they come to us because we have the ability to overcome location challenges. While we have regularly-scheduled voyages and travel those routes regularly, we are also able to customize routes and destinations for our clientele. Our customers are just as unique as the vessels we transport, and we work relentlessly to provide them access to their target locations all over the world. The next biggest concern that our customers have is what needs to be done to their vessels so they are ready for transport. 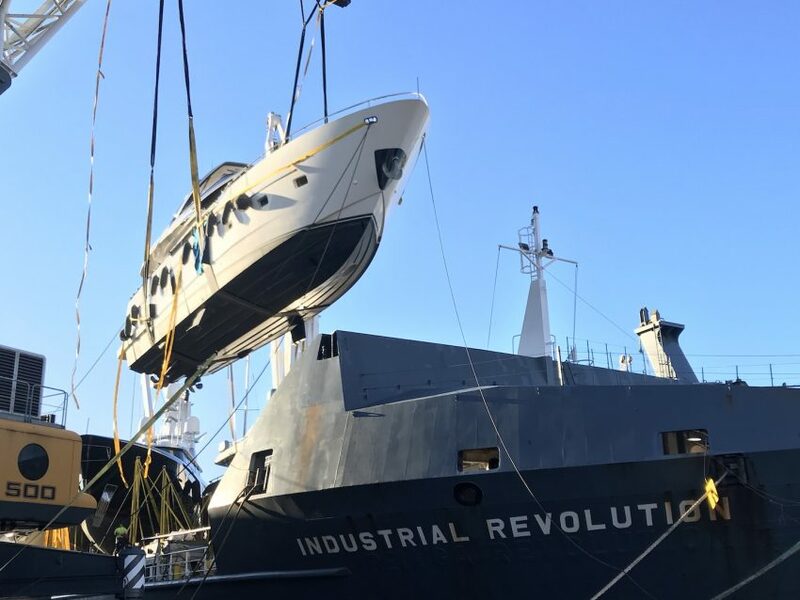 Due to our extensive experience in boat shipping across long distances, United Yacht Transport is very knowledgeable in helping clients prepare their vessels. Everything from securing interior belongings to arranging external boat features, (like masts) our professional team walks through the entire process in detail. Furthermore, each representative stays in constant contact with the owners of the vessels they are working with. For example, the day a vessel is being loaded onto the cargo ship, the United Yacht Transport representative will work closely with the vessel owner whether they are on-site or off-site. One of the more complex features of transporting vessels across the ocean is the clearance of customs on the receiving side of the transaction. It is our responsibility to help our clients move through this process seamlessly as we understand this can be a reasonably nerve-racking experience. We have excellent relationships with various ports of call which aids in customs clearance and the logistics /regulations requirements by the receiving country. It can be challenging to acquire transport insurance for a vessel, especially if a boat owner is new to overseas transportation. At United Yacht Transport, we can work quickly to obtain the right insurance which is essential to have during the transport process. Our vessels are delivered every day free and clear of any damage, but some circumstances can change that in an instant. For example, if the cargo ship encounters significant unplanned weather while at sea. Our insurers understand the unique insurance needed for these situations that are likely not covered under the owner’s regular marine insurance policy. We know there are plenty of other concerns when making plans to transport a yacht or boat, and we welcome all of those concerns and questions. Connect with us online, or request a quote and let’s tackle those concerns or challenges head on so everyone feels confident about their transport experience.